This is the perfect time of year to show employees what your company culture is. Whether a new starter or not, the festive period can help teams to work better together. 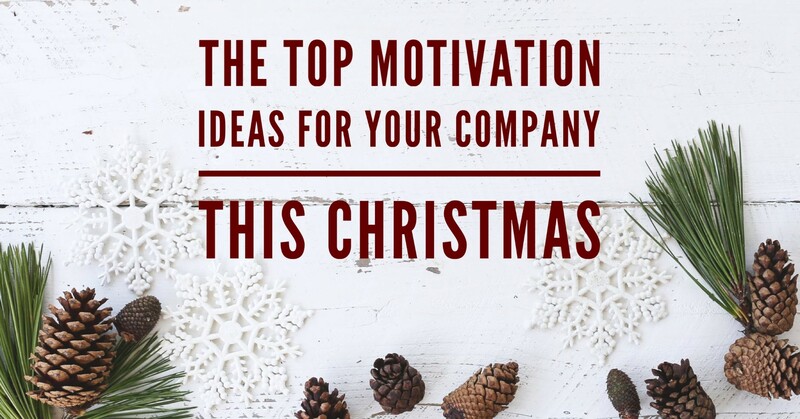 December is a great time to introduce new incentives for staff to get them thinking creatively about their work rather than what they are hoping to buy for Christmas. If your company is hot on sustainability, try to find a way to incorporate that this month. Set a competition with a prize where staff members can think of new ways to reduce the carbon footprint of your office. Is there a way you can encourage staff to give back to your local community? Not everyone can volunteer in their spare time but a collection for a local homeless shelter in the office could give your employees a chance to help others while at work. Set up a box with information about the shelter and a list of items that can be donated. If you’d like to donate money to a cause, a bake sale is easy to arrange. Send a message to your team asking the bakers to think of festive treats and decide on a local charity who might benefit from the funds. These small events can also create micro networking with staff from other offices finding out a little more about what you do. It’s important to reward your team after a year of hard work. This doesn’t need to involve a lavish Christmas party if you don’t have the funds. Try to think of the things that might make your employees home-life balance a bit smoother this month. Could you introduce flexible working to allow for an environment where employees can get a healthy mix of work, leisure and family? Even a small gesture to show your appreciation can go a long way at this time of year. These ideas are easy enough to implement but can do a lot for your employees’ sense of wellbeing. By showing them their value, they will start the new year with the energy to kick-start 2018. If the new year also brings the need to expand your growing team, register with GradLink today for our free CV database. We have thousands of UK educated international students from the top institutions ready to bring new ideas to your company this year.